Watching The Day The Earth Stood Still (the original 1951, not the crappy remake). I notice that every soldier in the movie is armed with a carbine or 1911. No Garands at all. I guess they were cheaper. Studio spent most of the budget on special effects. They all got their fingers on the triggers too. That's how the present from Klatoo got shot out of his hand. BIG mistake. One guy on another sit said Garands loaded with black tip ammo would have taken care of Gort immediately and the movie would have been shortened too much. 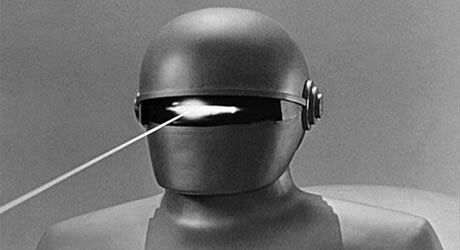 I always wondered how Gort got through downtown DC from the ship to the jail to bust Klaatu out and back without being spotted by the hundreds of troops and cops roaming the landscape. I guess they all went of duty when Mr K was drilled by the Ma Deuce. The EM club and O'Reilly's bar musta been hoppin. Klaatu barada nikto. That is one heck of a condensed message! On a side note, the actor who played Gort in the movie was Lock Martin and he was around 7' 7" tall. That was no special effects when he picked up and carried Patricia Neal to the spaceship..
It’s all in the tonal inflexion Like Chinese. Pronounce it wrong and Gort brings you a pizza. According to what I’ve read from several sources, Lock Martin was very tall but somewhat frail and did need help in the scene where he picked up Patricia Neal. On a completely unrelated note, the hairstyles for women in the 1950s were, in my opinion, the worst in history. I wonder how Mork from Ork would have put it. With anchovies and grape jelly. BTW Utah Bob I think maybe the need for Garands in Korea might have influenced what the film producers could use. 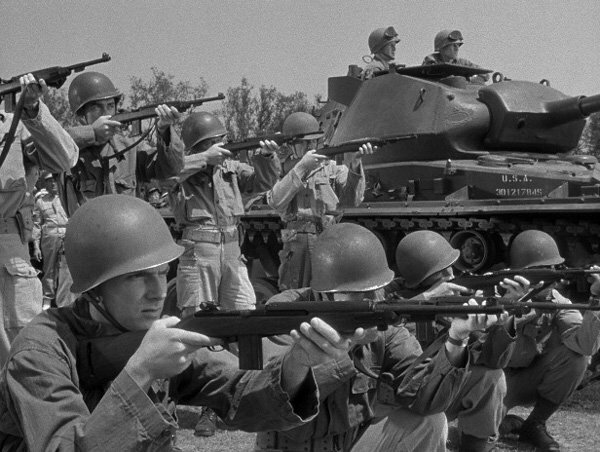 No doubt after the Battle of Chosin Reservoir the Army was perfectly happy to let Hollywood use all those M1 Carbines instead. same as: Jabajada Arderdah..... which means: The crocodile that walks like a man.